Wing-half Duncan signed for the Hornets in November 1963. He played more as a full-back for the club, and set a club record for consecutive appearances, 457 in total and 280 in the Football League. 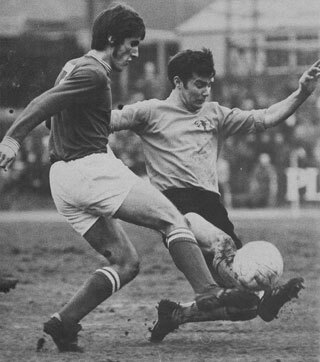 He left to join Southport in 1974 and sadly passed away in early 2019. He remained living in the Southport area, and Watford Legends spoke to Duncan in 2012. Hi Duncan. Thanks for talking with Watford Legends. You joined Watford from Grimsby for £1,300. How did that move come about? At 16 years old I was at Scunthorpe and they wanted to sign me as a professional. Bill Corkhill was the manager of Scunthorpe and was expecting to sign me. Allenby Chilton was the Grimsby manager and he came along and asked me to join him there. 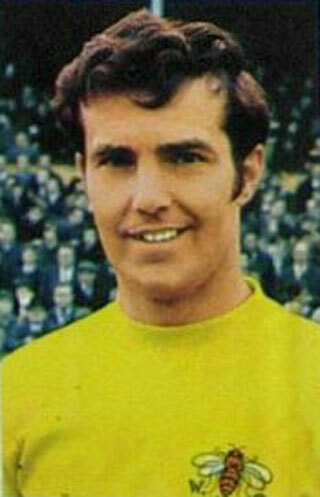 I was offered a transfer from Grimsby to Watford, and I met up with Bill McGarry and had no problem to sign for him. Grimsby were going to release me as I had been in hospital with tuberculosis, and Bill had remembered me from when he had played against me for Huddersfield. When I played against Huddersfield I had a particularly good game as I did a good man marking job on Denis Law. Grimsby to Watford is a long way from home! It is but in them days you played for who you could. Did you have any reservations? Not at all. I joined the club and went in to digs and then went on to buy a house in Leavesden. And I loved every minute. Do you have any matches that stand out for you? All of them! In them days, you would come out of the game knowing you had been in a game! 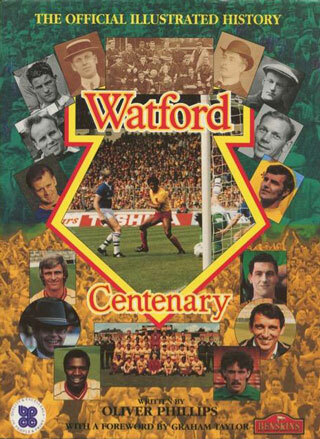 You are well remembered in Watford circles for having the record for consecutive appearances – a record that still stands. Are you proud of that? Well you’ve just told me something I didn’t realise! I knew of the record but didn’t know it still stood. I went 6 and a half seasons without missing a game. But to tell you the truth it didn’t really matter to me. You are only as good as your last game. If you play badly and then fall out of the team then it could be a case of Goodnight Vienna! So even though you played for all that time, you still had the fear of getting dropped? I didn’t even think about it. I just knew that I would go out there and play my heart out. And I just knew that if I didn’t play well I would be dropped. Did it have financial implications to not be playing? Yes, I was on a weekly wage, and that wage was the same as everyone else. There was a three tier structure, first team, reserves, and then a summer rate. So if you got dropped to the reserves you would lose wages. We also had a bonus of £2 for a draw and £4 for a win. You were more of a winger at Grimsby but reverted to more of a deeper position at Watford. Did you enjoy that? Well I didn’t really have the choice, but I grew in to it. You often played with Stewart Scullion in front of you, was he good to watch? Well he said exactly the same when we spoke to him! Was he the best partnership you had in the team? Yes, because he understood how I played and vice versa. Were there any other players you got on well with at the club? I enjoyed working with Bert Slater and Tony Currie. Tom Walley was a nice guy and became a real legend for the club. I’ve not spoken to many of my old team mates, and nowadays some of them have passed on. I think I’m lucky to still be here! We interviewed Keith Eddy and he remembered you fondly. What do you remember of him? He was a great guy. He was left half and captain for a period. A good player. How did you get on with the Watford faithful? Very well. They used to shout at me – if it moves, kick it! The crowd used to tell me which player on the opposition had kicked one of ours, the ball would make its way up the field and then the crowd would look back to see that member of the opposition on the floor! But for diplomatic reasons I will only say I only ever kicked the ball! You couldn’t get away with that stuff these days! No you couldn’t. I’ve just been watching a game on the TV today and all the diving around just drives me crazy. So if you were 25 again today, how would you get on in today’s football? I think I’d get on well. I was fit and used to look after myself well. I think my attitude would serve me well against the modern player who seems to think he has made it as he has signed a lucrative two year deal. Money first and medals second these days I’m afraid. You were inducted in to the Watford Hall of Fame. How was that for you? It was a big honour. Watford invited my wife and I down and we were very well looked after. There are not a lot of people in the Hall of Fame so it was a very nice honour. And what did you make of the stadium when you came back? I wondered where the dog track was! What made you leave Watford to go to Southport? I loved playing at Watford and thought I would stay at the club. Unfortunately Mike Keen and I didn’t get on. But Bill McGarry was then up at Southport and asked me to go there, and it gave me a good opportunity to go in to management. After your football career, what’s your potted history between Southport and today? I was the Manager of Southport for a while, and the Commercial Manager but there was no money and was really hard work. It became not really worth doing. I was struggling to get my wages. I then became a Tunneler. So for example the underground tunnel at Canary Wharf was worked on by me. That was a very dangerous job as there was water pouring in all the time. So a bit different to a football career?! It was, certainly not as much fun! Was it hard to adjust from being in the world of football employment to that of the full-time worker? It was actually. You can kid yourself and make out it is an easy adjustment but it was tough. Proper grafting in a six foot tunnel until the evening. You think football is hard work with all the training and so on but when you go in to real work you realise how lucky you were. So overall your experience down here at Watford was a good one? It certainly was. It was my life. I enjoyed it, and was sick to leave. Well thanks for playing for us, and thanks for your time.